Welcome To HAWK! Where it’s all about the kids after-school! H.A.W.K. is an after-school child care program that provides homework help, snacks, recreation, and other activities to our students in a safe and nurturing environment. 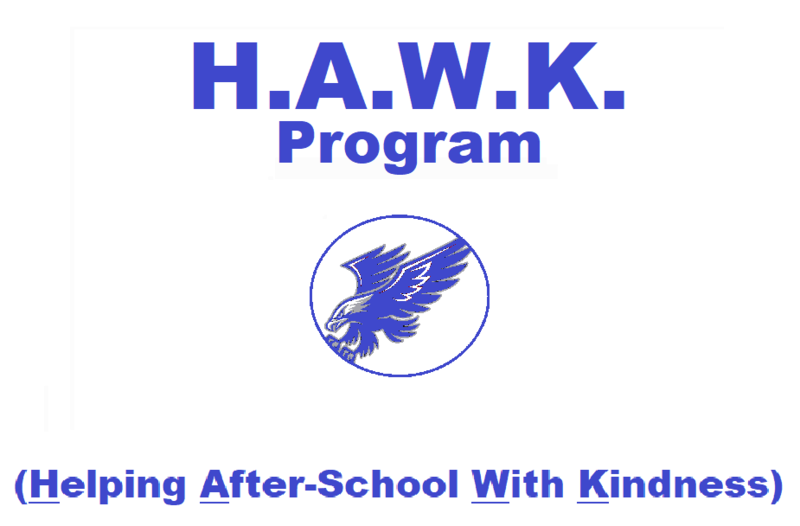 HAWK is available to students of all ages, Monday - Friday, at a cost of $5 per day (part-time), or $80 per month (full-time). There is a $10.00 reduction per additional child. Enrollment forms can be downloaded online by clicking on the Enrollment form link at the bottom of the page. Hawk follows the same closing schedule as the school. Please see our Frequently Asked Questions or contact us directly for more information. You may also send an email to Mrs. Shannon String at sstring@myronlpowell.org. You may also check out the links below! Including HAWK Welcome letter!